The all-new 2018 Subaru Crosstrek is making its dealer launch in the UK. Check out the new ad, they do it differently in the UK. In the U.S., it’s all about Love when it comes to Subaru, in the UK they do it a bit different. 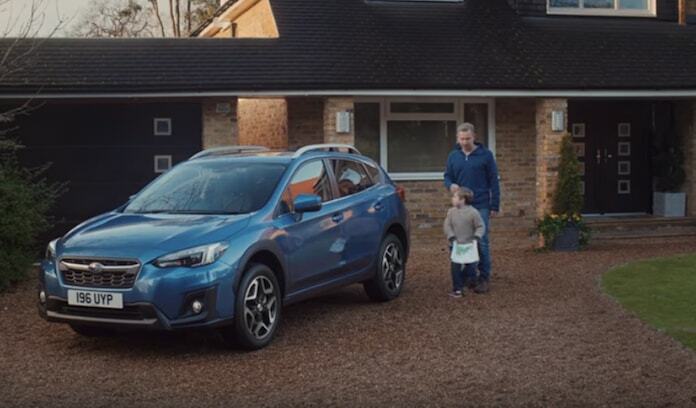 Subaru UK is launching the all-new 2018 Crosstrek (XV in global markets), with its new brand campaign, “Better Where It Matters”. The Brits are more high-collar when it comes to their car ads and it’s reflected in the new Crosstrek ads. The new ads tout the Crosstrek’s core values of safety, capability and reliability. It doesn’t mean they don’t have a little fun with the Crosstrek ads. Partnering with creative agency MullenLowe, the new Crosstrek campaign strips to the true essence of Subaru but with some British humor thrown in. A dad brings home a shiny new Blue 2018 Subaru Crosstrek and can’t wait to show it to his little boy. Well, the kid isn’t impressed at all with his dad telling him about it coming with always-on Symmetrical All-Wheel Drive, EyeSight Driver Assist Technology, has a 5 star Euro NCAP safety rating and is built to last. The boy wants to know why it isn’t red, and where are the rockets? You won’t be seeing the ads unless you live in the UK. Americans will get the new Barkley dog family ads showing off Subaru of America’s all-new Ascent 3-Row family vehicle. They won’t be getting the largest vehicle Subaru has ever produced in the UK. It’s only being sold in North America. The Brits will likely be happy with the all-new 2018 Subaru Crosstrek. It rides on the new Subaru Global Platform and comes with an improved ride, larger cabin, and superior driving dynamics. Fathers will be impressed, but the kids not so much.